What Can Accredited Concrete Do? 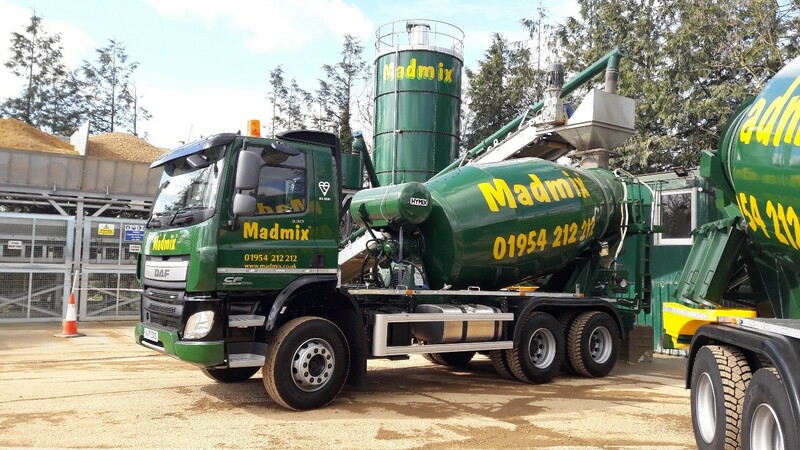 Madmix has received the BSI kitemark for accredited concrete – but what does this mean for our customers, and what is accredited concrete used for? Accredited concrete meets the British standard for concrete. This means it is quality assured concrete which has reached the standard required to be durable, long-lasting and safe. In the UK the main standards are set by the BSI Group, also known as the British Standards Institution. The group awards kitemarks to companies who meet the appropriate quality thresholds. In the case of concrete, the relevant standards are the BS EN 206 and BS 8500-2, both of which we have met. The BS EN 206 relates to the properties and specification of the concrete, and also covers the areas of delivery and production control. It is part of a Europe-wide certification scheme, while BS 8500-2 is a complementary standard used in the UK. Our Quality Management System has also been awarded ISO 9001 accreditation. This means our factory production control, including our plant, personnel and equipment, and production processes all meet required quality standards. What Testing Does Assured Concrete Undergo? The BSI kitemark is a hard-won accolade. The necessary tests are carried out by an independent testing body to make sure the concrete and its ingredients meet key industry standards. Every three months the calibrating of our scales is checked to ensure they have the correct weights. The water from the borehole is also checked to ensure it has the correct mineral levels. Another form of monitoring, called cube testing, is also carried out. This involves taking a sample of each concrete mix, putting it in cubes of a pre-determined size, then tampering it with a rod or bar and tapping it with a hammer to remove any trapped air. The cube moulds are then labelled, covered with a damp cloth and a plastic sheet and stored in a dry environment at a certain temperature. The cubes are then transferred into a curing tank, which is a moist environment, again set to a certain temperature, which allows the samples to hydrate properly. They are then checked after seven, 14 and 28 days by removing them from the tank, drying them and removing any grit before testing them with a calibrated compression machine. This measures the quality and the strength of the concrete to ensure it meets the correct standard. The company’s site is also monitored once or twice a year, to ensure the manufacturing plant and the management systems are of top quality. The monitoring covers every aspect of the business, from taking a phone call to delivery of an order – it follows everything, all the way through. The company has to maintain records of where all supplies come from and keep all files up to date. Drivers and staff also have to be trained to meet standards. The whole process of achieving accreditation takes about six months. BSI accreditation is an ongoing process, so further checks are carried out to ensure that standards are being maintained. Concrete structures have to cope with the stresses and strains of everyday life, and this includes the variable climate of the UK as well as the human demands placed on them. Some buildings also have additional demands and this makes it essential for the concrete to be strong and hard-wearing. Accredited concrete is suitable for all types of building and construction, from houses to runways. Many buildings have to use accredited concrete. The NHBC needs to ensure that all concrete used in new homes meets the British standard for concrete to meet Building Regulations, and this also applies to all government buildings. What Does the Accreditation Cover? All of our products are covered by the accreditation. It demonstrates industry-respected best practice. Madmix provides the same professional, friendly service, whether it is for a major commercial project or a smaller individual order. We can advise you on which products are the right ones for you, how much you will need, and our prices are extremely competitive. Click on the link above to get in touch with us.